Stone Hill Foundation Publishing Pvt. 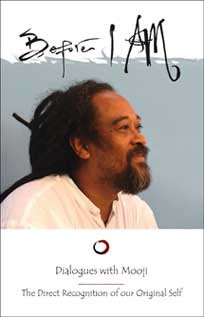 Ltd. offers outstanding books on the subjects of body/mind/spirit, nonsectarian nonduality, consciousness studies, spiritual teachings, and the wisdom traditions of the world through its imprints EDITIONS INDIA and ARUNACHALA PRESS. The market for books on spirituality and mind/body subjects is the fastest growing for any segment of the book market in India. We are not only publishing the most significant international authors in India, but we are also introducing a number of our authors to Southeast Asia, the Middle East, Australia, New Zealand, and English-speaking Africa. Our books are nonsectarian. Those that are reprints under our EDITIONS INDIA imprint have been harvested from the best small presses abroad, publishers who are connoisseurs of the most valuable new writing in the West in the specialized field of non dual spirituality and the new paradigm. Their authors are found highly recommended on Websites devoted to this subject field, and many tour extensively around the world, including India. STONE HILL FOUNDATION PUBLISHING seeks to help facilitate the India tours of as many of these as possible so that readers will have the opportunity to meet these outstanding teachers and the media will be interested in interviewing them, thus publishing our books. A number of our authors also have Websites where readers can learn more about their teachings. Our imprint ARUNACHALA PRESS is named for the famed red stone hill rising above Sri Ramana Maharshi’s ashram in Tiruvannamalai, Tamil Nadu, India. It brings out original titles for the Indian and world markets, acquired both in India and abroad. FESTIVAL BOOKS also produce original titles, highly illustrated, on topics including pilgrimage centers and spiritual figures. We market our carefully produced books in the subcontinent with new and professional methods of promotion and publicity. Our covers speak for themselves in terms of eye appeal and information designed for the reader to quickly catch the spirit of each author’s work. Pages of testimonials occur in many of our books, and a number have additional front and back matter, including author interviews. At the turn of the millennium, former Cambridge physicist Eckhart Tolle caught the attention of spiritual seekers all over the world with his first book, The Power of Now. His teaching, interspersed with elements from Buddhism, Advaita (nondual) Vedanta, and Christianity, is relatively neutral and powerfully direct. It does, however, lean strongly toward the Buddhist perspective in its view of reality, and the nature and process of enlightenment. This presents a sharp contrast to the dominant Hindu perspective as found in the Bhagavad Gita. Described by Ken Wilber as "India’s greatest modern philosopher-sage" and as "the greatest of all Vedantic philosophers," Sri Aurobindo (1872–1950) is considered one of the foremost philosophers of the 20th-century, and was, as well, a political activist, mystic, spiritual leader, poet, and yogi. His unique contribution to the development of the human potential was realized through his integration of Eastern and Western cultures. 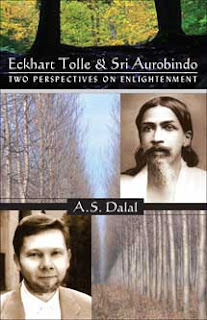 As well as comparing aspects of Eckhart’s teaching and Sri Aurobindo’s yoga, Dr. A. S. Dalal relates these teachings to the story of his own spiritual quest. A Moslem by birth, Dr. Dalal was born in Tanzania, moved to the Sri Aurobindo Ashram for seven years, then worked in the U.S. as a psychologist for over two decades before returning to the ashram where he now lives. He has compiled ten books based on the work of Sri Aurobindo and the Mother, and has written two books integrating Sri Aurobindo’s psychological thought with modern psychology. Various books of his, published in India and abroad, have been translated into French, Italian, German, Russian, Spanish, Portuguese, Lithuanian, Korean, and several Indian languages. Market: India, Pakistan, Bangladesh, Nepal, Bhutan, Sri Lanka, Myanmar, Maldives, Southeast Asia, the Middle East, Australia, New Zealand, and South Africa. Now, find out what ‘I’ is! Disillusioned with organized religion, some people escape into New Age movements, and others retreat from their spiritual moorings altogether. A more satisfying and transformative option for some is to embark on a quest to discover God independently. Using time-tested tools of spiritual investigation, it becomes possible to examine our present beliefs, explore the nature of God and sense of self, and ultimately expand our identity beyond its borders. This book introduces this age-old approach to spiritual inquiry for modern-day readers. Step by step, it offers a bridge between organized religion and mystical spirituality for anyone questioning traditional dogma or its legacy of divisiveness. It also assists in overcoming limitations and notions of exclusivity promoted by New Age movements. Included are 17 universal techniques for developing a new view of what is meant by God and for broadening our view of ourselves, others, and all of life. The author is the son of self-exiled Iraqi Jews and holds a degree in religion from Columbia University and an M.A. in Sanskrit and Classic Eastern Texts from St. John’s College, Santa Fe, New Mexico. He is a teacher, composer, and former monk. ISBN: 81-89658-09-3; Price: Rs. 475; Pages: 352; Size: 6 X 9 in. Why do many phenomena defy the explanations of conventional biology and physics? For instance, when laboratory rats in one place have learned how to navigate a new maze, why do rats elsewhere seem to learn it more easily? 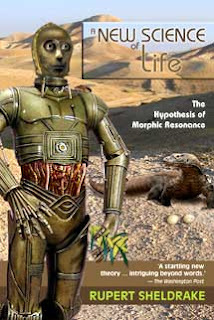 Rupert Sheldrake describes this process as morphic resonance: the past forms and behaviors of organisms, he argues, influence organisms in the present through direct connections across time and space. Calling into question many of our fundamental concepts about life and consciousness, Sheldrake reinterprets the regularities of nature as being more like habits than immutable laws. The first edition of A New Science of Life created a furor when it appeared, provoking the outrage of the old-guard scientific community and the approbation of the new. The British journal Nature called it “the best candidate for burning there has been for many years.” A lively debate ensued, as researchers devised experiments testing Sheldrake’s hypothesis, including some involving millions of people through the medium of television. These developments are recorded in this revised and expanded edition. Rupert Sheldrake, Ph.D., is a former Research Fellow of the Royal Society and was a scholar of Clare College, Cambridge, and a Frank Knox Fellow at Harvard University. 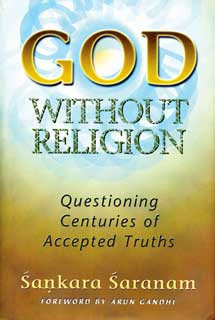 He is the author of several ground-breaking books in the field of new science, including biology. ISBN: 81-89658-20-4 ; Price: Rs. 450 ; Pages: 272 ; Size: 6 x 9 in.